Like third-party food-delivery services such as Grubhub and UberEATS, Hawaiian-style poké is one of the latest—and arguably most delicious—trends to take America by storm. Skipjack Poké, a unique delivery-only poké “ghost” kitchen, is the best of both worlds. Although we had a trendy concept and addictive cuisine on our side from the beginning, our challenge was to create a fun, lasting visual identity for a brand that could really only be experienced through packaging and social media. In order to make up for the ambience and customer service that patrons typically enjoy while dining out, we knew that a bold color palette and an energetic brand mark would be crucial elements of the ghost kitchen’s identity. 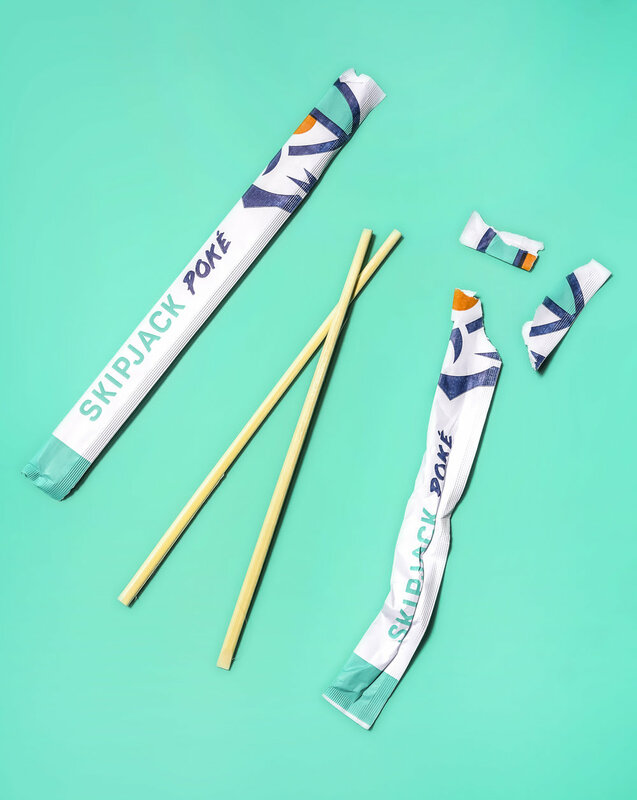 By pulling from current color trends and creating a custom design of a jumping Skipjack tuna, we gave Skipjack Poké the compelling look it needed to gain traction and stay relevant.